Our newest sparkling, spectacular production of ‘JOSEPH and The Amazing Technicolor Dreamcoat opens officially tonight to the Press and invited guests at our Montecasino Theatre. A whirlwind 4 weeks since the first day of rehearsals, this fresh and most loved of all Andrew Lloyd Webber musicals, will burst onto the Monte stage, reinvented for a new generation. You might have seen JOSEPH before, but you’ve never seen it like this! The brilliant Paul Warwick Griffin has put together a spectacle that will blow you, singing and dancing, into the 21st Century, and you’re going to love the ride. We thank them all for their incredible talent and creation. 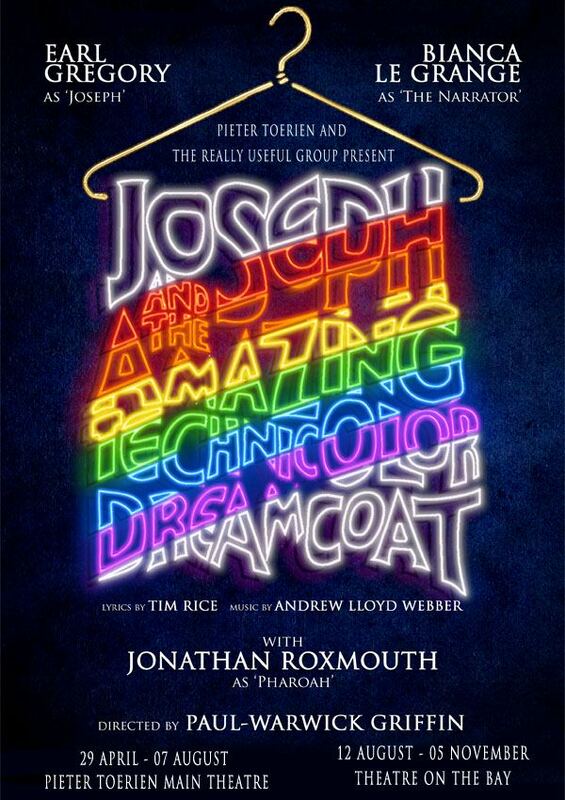 JOSEPH runs in Johannesburg until 7 August and then it’s Cape Towns turn from 12 August – 5 November. Pieter Toerien Productions is extremely proud to be associated with this production! Tony Award anyone? Joseph! Joseph! The media have raved!